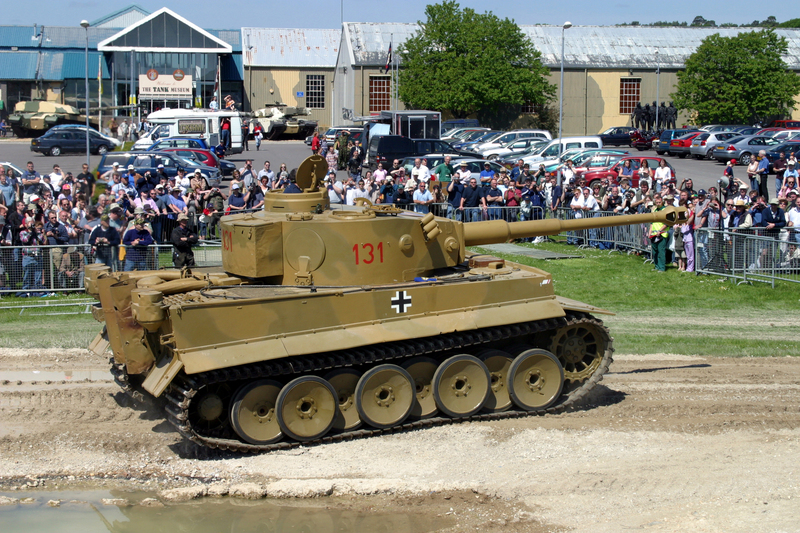 In Part IX of the story of Tiger 131’s restoration, the Tiger has its Tankfest and Tiger Day debut. 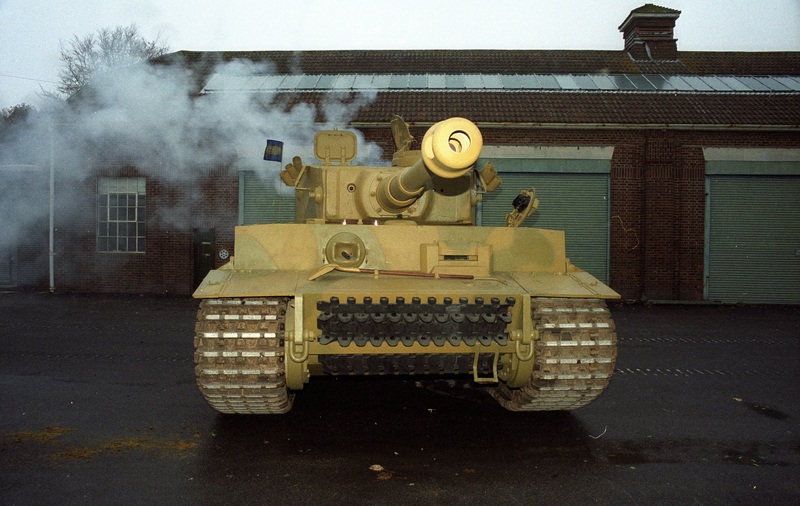 In November 1999 the Tank Museum created a website to track the restoration project. This site featured monthly updates for 4 years. This series of posts will republish some of the photographs and details featured on that site, and then bring the story of Tiger 131’s restoration up to date.The final update on the website was in December 2003. This post covers the story of the restoration from then until 2018. 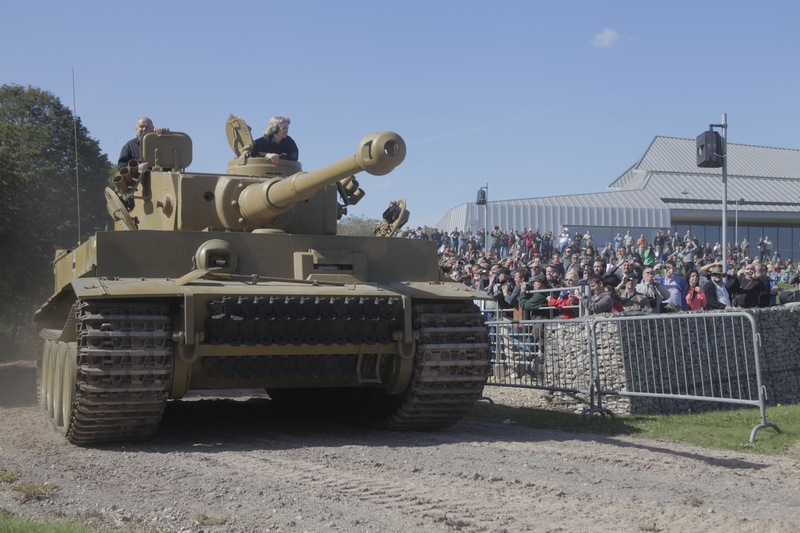 Unfortunately the handover of Tiger 131 from ABRO to the Museum wasn’t the end of the process. The rebuilt engine caused constant problems. The left cylinders ran hot, suggesting a timing problem, it suffered from low oil pressure and water leaked constantly. This culminated in a breakdown at Tankfest 2004. It was clear much more work would be needed. We removed the engine and ran it on a stand to begin an investigation. The same things happened. We shut it down immediately, and later worked out the engine had been just minutes from suffering irreparable damage. When the engine was disassembled it was found that the block itself was warped. This had happened during earlier heat treatment to repair frost damage. On top of this the crankshaft was damaged beyond repair. The reason for the crankshaft damage was eventually traced to the crankshaft collar. The HL230 requires two crankshaft collars, of two different designs. The wrong one had been fitted. This was an innocent mistake, but it shows only too well how damaging missing or incomplete historical knowledge can be to a project like this. 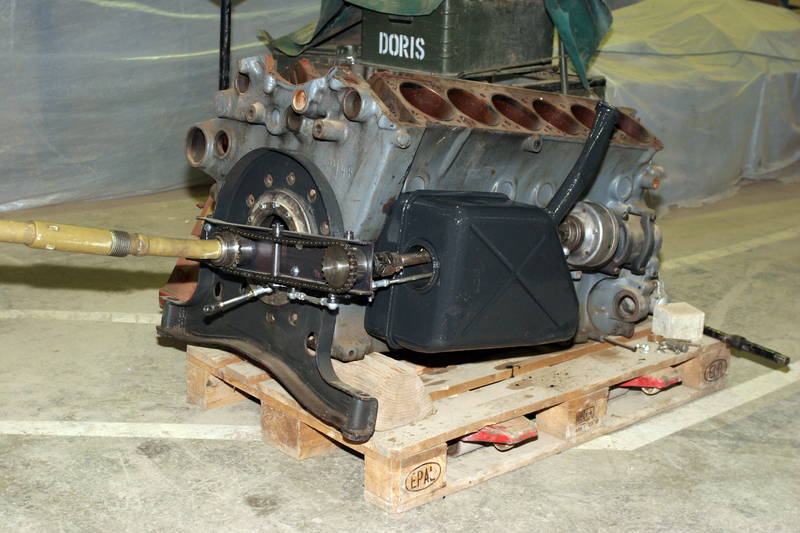 We weren’t prepared to reuse a damaged engine block, as it could risk damaging other components. 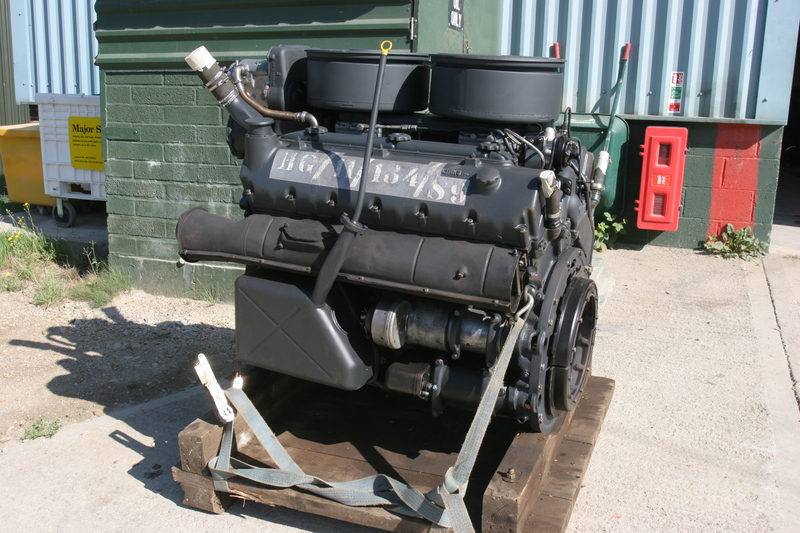 Luckily the SdKfz Military Vehicle Foundation were able to source an unused HL230 block and agreed to support the rebuild. 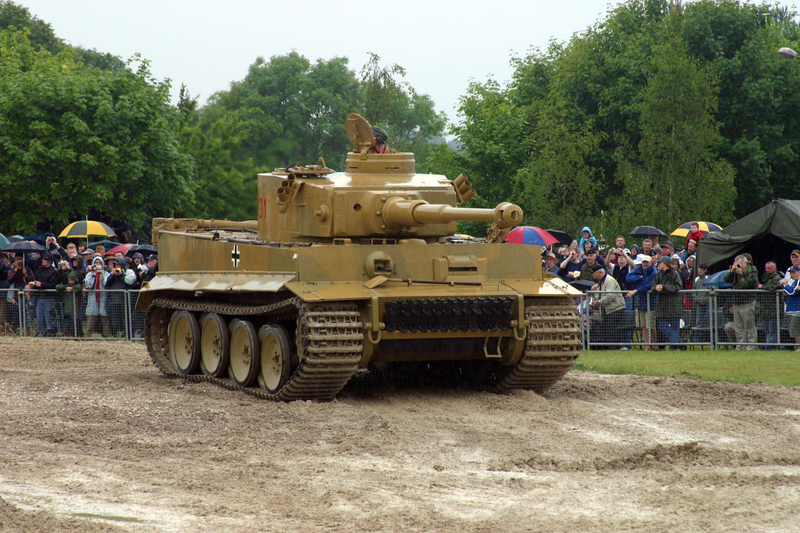 It was a success and at Tankfest 2006 Tiger 131 ran flawlessly. Tankfest 2006, a wet day for a flawless display. 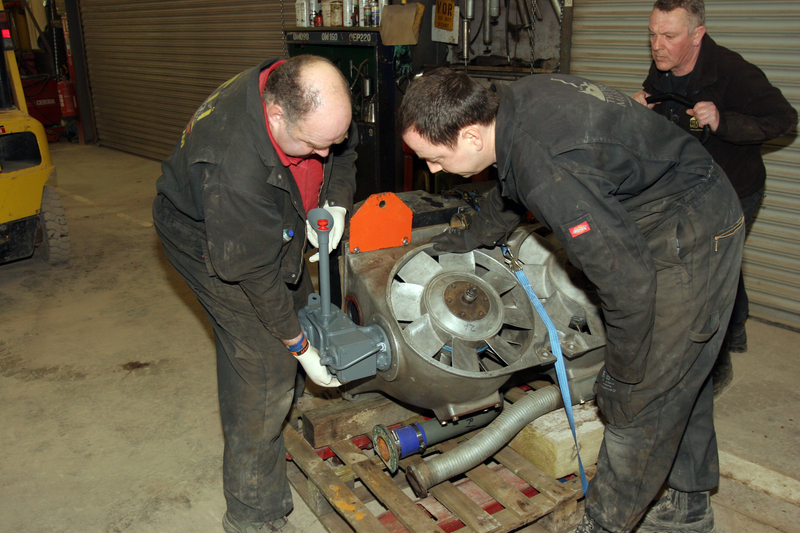 By 2010 this engine had run for 11 hours and we decided to carry out a comprehensive overhaul. 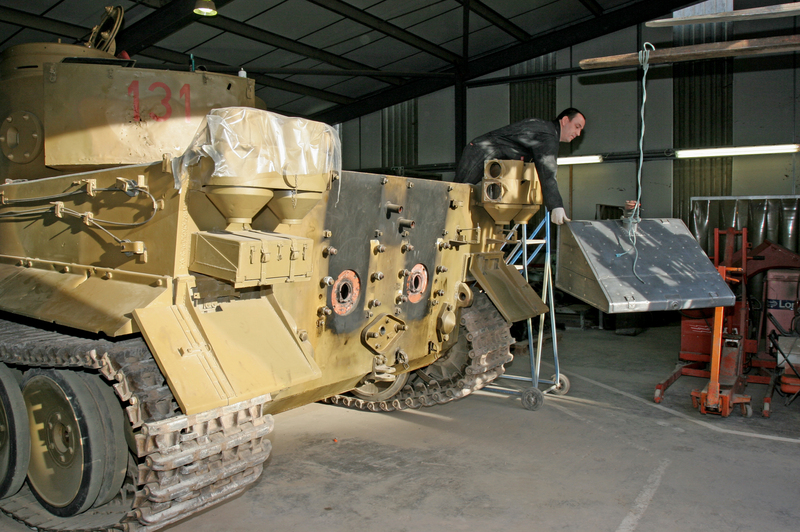 The opportunity was also taken to carry out more work that would bring Tiger 131 back to as close to original condition as possible. This would involve both additions and removals. 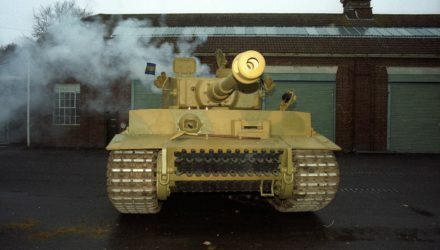 Although ABRO had fulfilled their contract to restore Tiger 131 to running condition, they had at times compromised the tank’s historical completeness in order to do so. 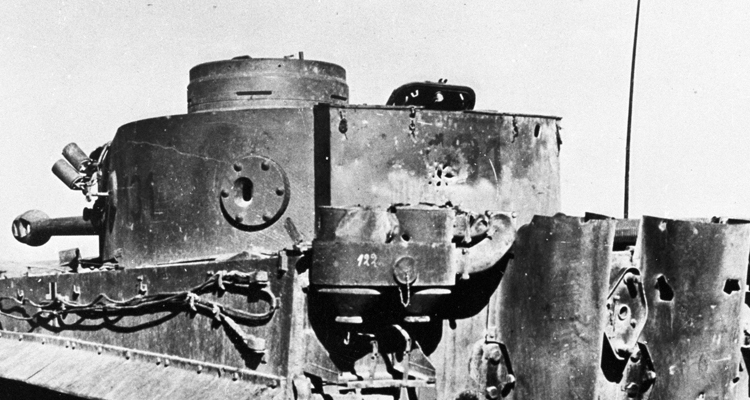 The need for ABRO and the Museum to deliver a running tank had sometimes meant components built to modern designs had been fitted and in some cases parts had been left out entirely. Whilst it’s easy to be critical of this looking back, at the time we were pioneering this sort of restoration work and many lessons about best practice and the importance of appropriate levels of oversight were learned as a result. This work was greatly helped by having access to more wartime manuals and blueprints than previously. Because of these we were able to ensure the correct crankshaft collar was fitted, and to build a number of replacement parts to their original designs. These photos show some of the most significant changes we made during this work. 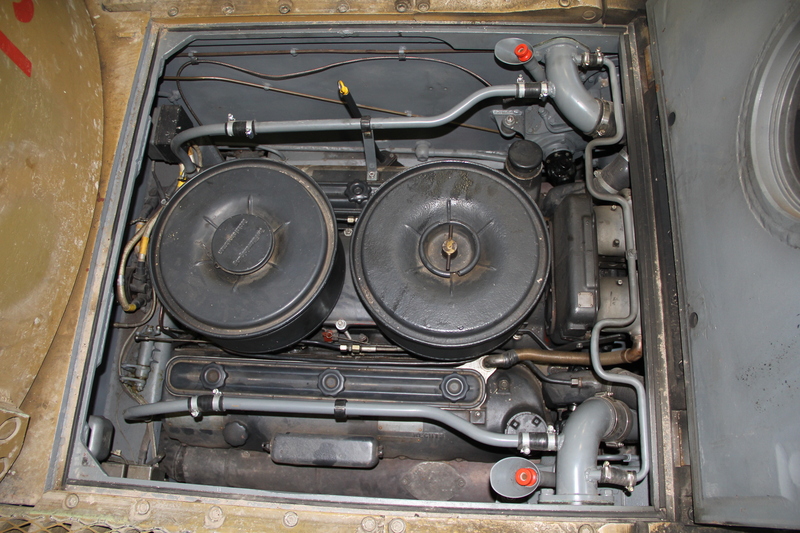 ABRO had not fitted the inertia starter system to the engine, so the Museum constructed one from the original drawings. Testing the new inertia starter (in black). They had connected up just one of Tiger 131’s four petrol tanks, and left two out entirely. Much of the fuel system pipework was missing too. The tanks were in storage, but new ancillaries had to be manufactured. Installing one of the petrol tanks. 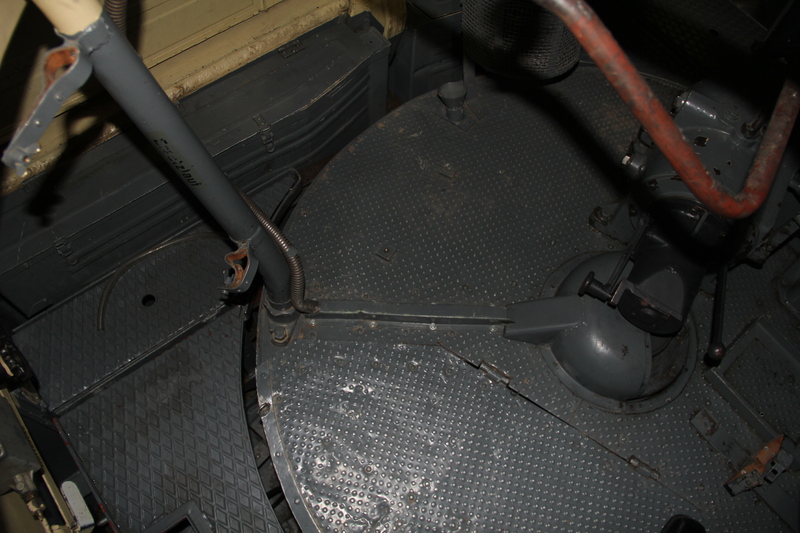 Other work included removing an electric fuel pump, stripping the paint from the fuel tanks and making new floor plates that had the correct tread pattern. Floor plates with the correct tread pattern. Probably the most significant drawings we found were for the fan drive gearboxes used in field conversion kits when Tigers fitted with HL210 engines had them replaced with HL230s. Having access to these made it possible for us to replace Supacat’s modern design with newly manufactured but historically correct components. This finally solved a problem that had troubled us since the early days of the project. 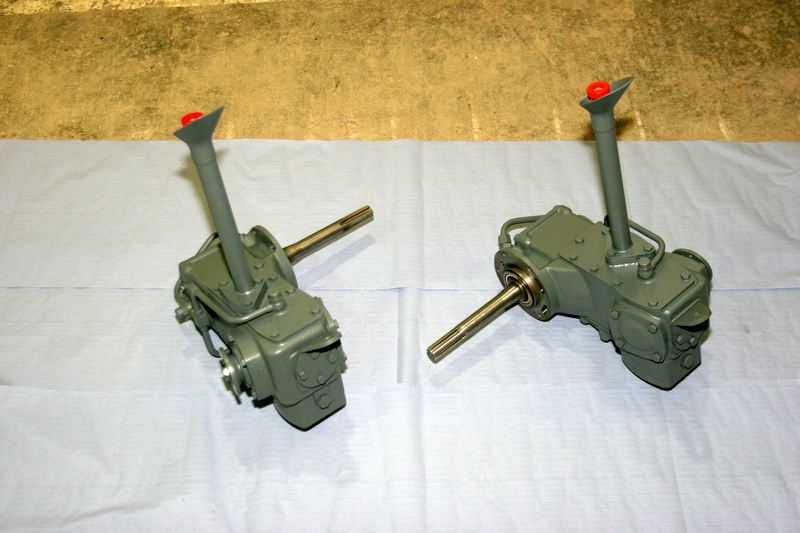 The “new” gearboxes before installation. Fitting a gearbox to its fan. 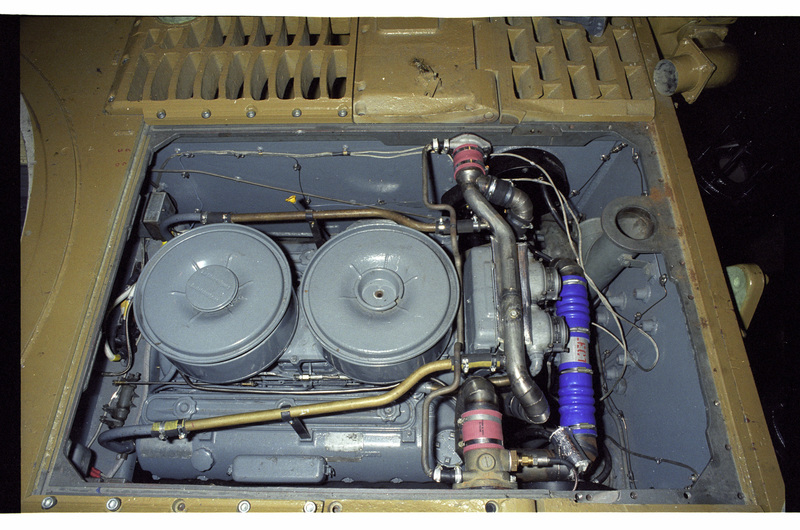 Comparing these two photos of the engine bay, we can clearly see the difference between Supacat’s fan drive gearboxes and the historically accurate ones. After careful risk assessment we also decided to remove the automatic fire suppression system. This was done because in order to fit it dozens of mounting studs had been welded all over the fighting compartment. These made the interior useless as a historical reference. Another reason was that it used dry powder, which was effective, but would seriously damage any components exposed to it. The system was removed and the studs ground down and painted over. It was replaced with handheld extinguishers operated by vigilant staff! This decision was vindicated in April 2011 when an electrical fault caused a flashback, melting a small terminal in the fighting compartment. If the fire suppression system had still been fitted then the valuable engine would have been badly damaged for no reason. 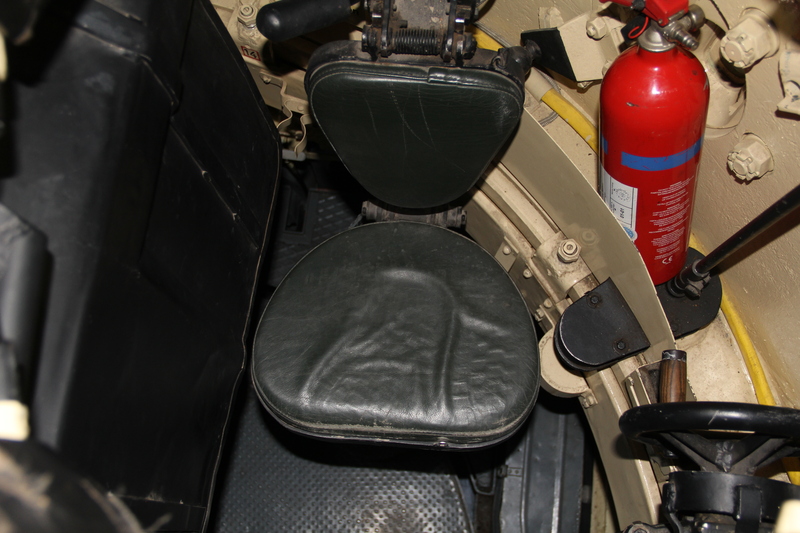 A handheld fire extinguisher next to the commander’s seat. 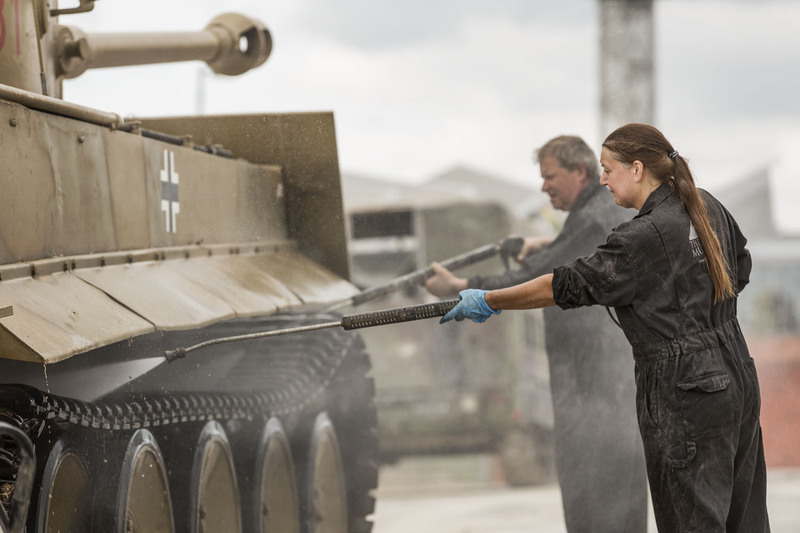 The 2010-11 overhaul was carried out by Tank Museum staff and volunteers and supported by funding from the Museums, Libraries and Archives Council’s PRISM Fund, and resources from the SdKfz Foundation and the Wheatcroft Collection. 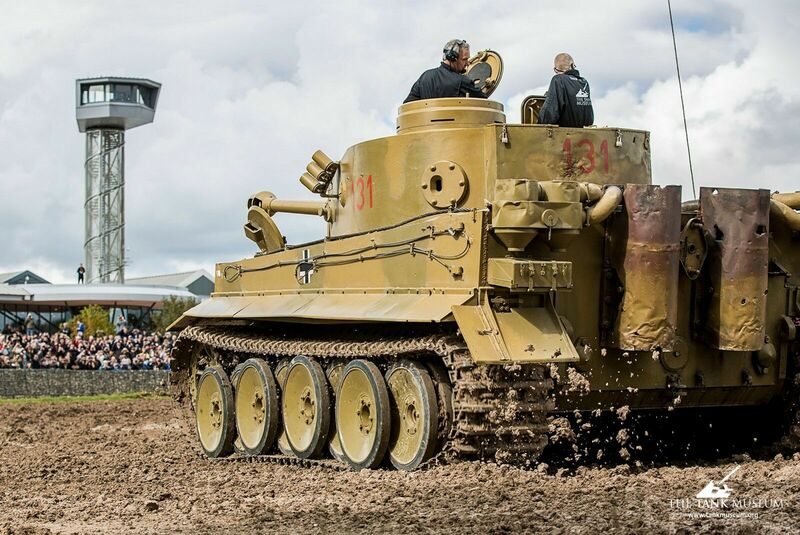 It was a great success and ever since Tiger 131 has run much more smoothly. On top of this the whole tank is now a much more complete and accurate historical artefact. Taking to the Arena for the first Tiger Day in 2012. Between this overhaul and the beginning of 2018 the engine has run for a further 9 hours. 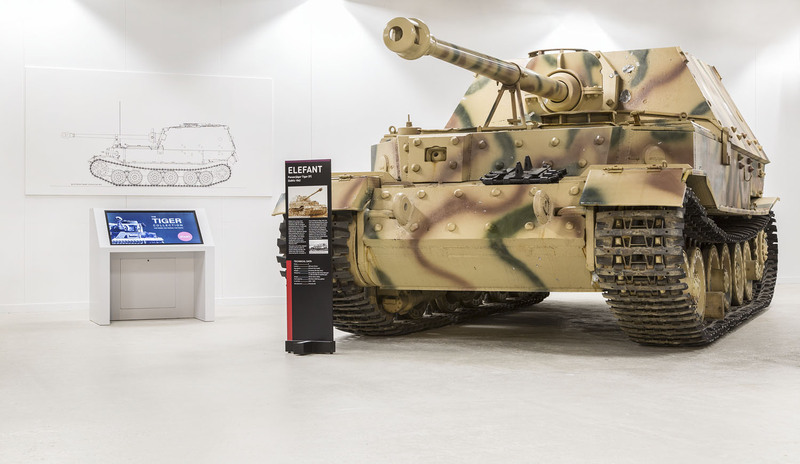 A programme of care and maintenance has been developed and is followed before, during and after each time Tiger 131 is driven, ensuring that wear rates on all components are recorded and understood, and any issues will hopefully be caught at an early stage. The wash down is a dirty but vital part of maintenance. 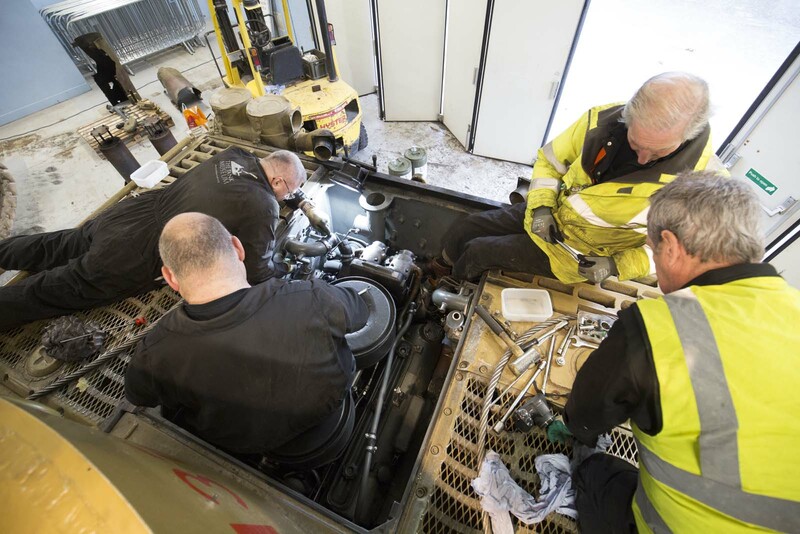 The restoration of Tiger 131 has spurred on the huge growth in knowledge, expertise and desire for accuracy in the world of historic armoured vehicle restoration. It has also had a massive impact on the success, profile and reputation of the Tank Museum. 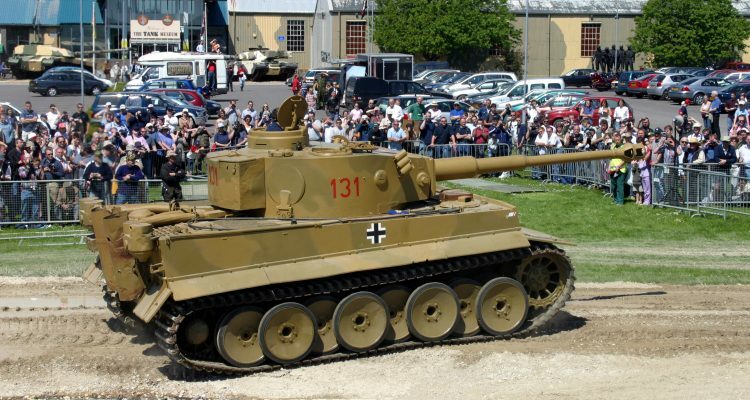 Looking back over 30 years of work, if we knew then what we know now, would the Tank Museum still have decided to restore Tiger 131? The answer is surely yes. We would probably have done things differently, but there’s no question we would still have embarked on this journey. 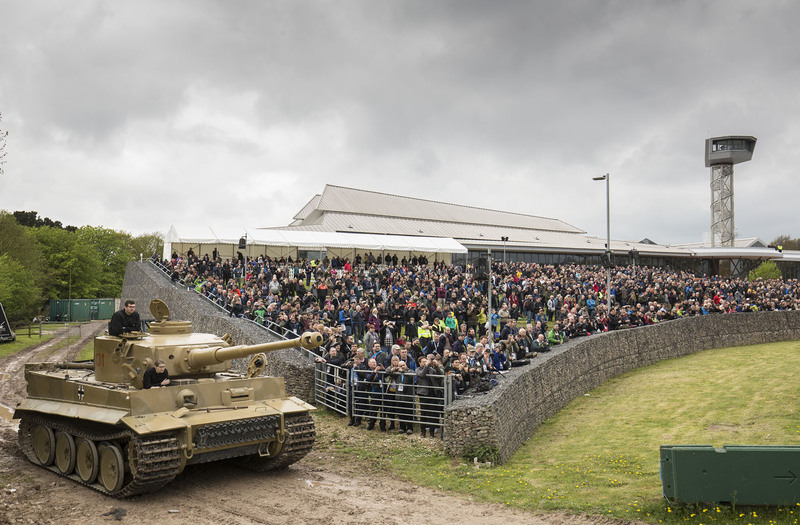 To conclude this series, here is Tiger 131 at Tiger Day IX in April 2018, the 75th Anniversary of its capture.